The Parish's Philoptochos is dedicating to helping our parish family. Indeed, "Philoptochos" or philanthropic arm of the parish. Members of the Philoptochos are responsible for raising funds, maintaining communication with parish members, visiting the sick, providing food to the needy as well as helping in a large variety of activities within the parish. The Philoptochos plans a variety of activities each year, inlcuding the annual church picnic in May and an annual dinner-dance in February. Rummage Sales, Bake Sales and special luncheons throughout the year allow the Philoptochos to perform its philanthropic functions while simultaneously provide for the communities social activities. The Philoptochos is also very much involved through the Parish Outreach Ministry in creating work groups based on geographic areas in order to assist the Parish in maintaining active communication with all members of the parish family. The Philoptochos Board of Directors invites all the Ladies of our Parish to participate in our activities. The Philoptochos is looking for women to volunteer as hostesses for coffee hour. The rotation is approximately every 13 weeks. Two hostesses are needed for each Sunday. Each hostess is asked to bring in orange juice, cakes, muffins, cookies etc. for 30-40 people. You need not bake; goodies can be store bought. Paper goods and cream will be provided by the Philoptochos. To sign up for the Coffee Hour or for further information contact Diane Minnelli Email or Phone 746 4234. CASA is the Citrus Abuse Shelter Association and represents one of the philanthropic causes undertaken by the Philotoptochos. Our Women's group is constantly accepting Food (non-perishable), paper goods, baby supplies etc. to assist CASA in its mission. Please help. If you would like any further information, please feel free to contact anyone of the Philoptochos Board Members. 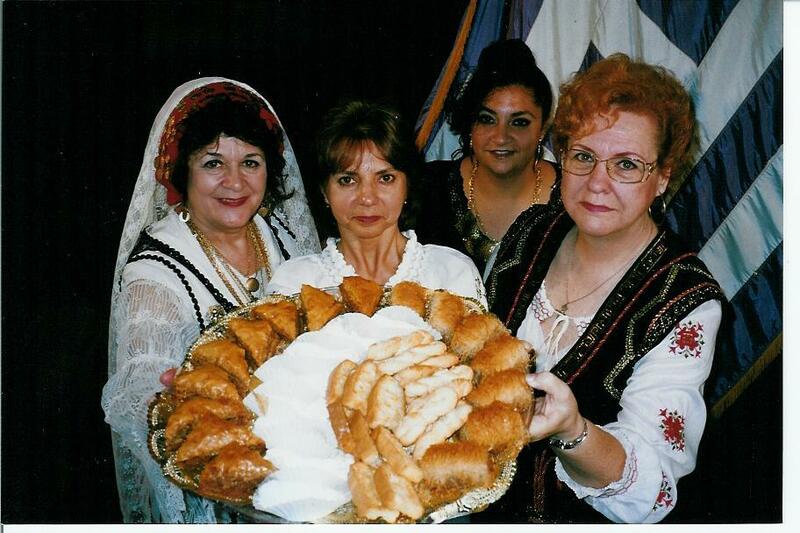 The Philoptochos also sponsor the making of Prosforo should you wish to offer the bread and/or wine for Liturgy. Please contact the Parish Priest to arrange to have the Prosforo made and you provide the names of those you wish to be commemorated. A donation of your choice should be made to the Philoptochos. The Philoptochos also sponsor the preparation of Kolyva for a memorial you may wish to offer. Please contact the Parish Priest to arrange for the preparation of the Kolyva and to arrange for the Memorial. A donation of your choice should be made to the Philoptochos.